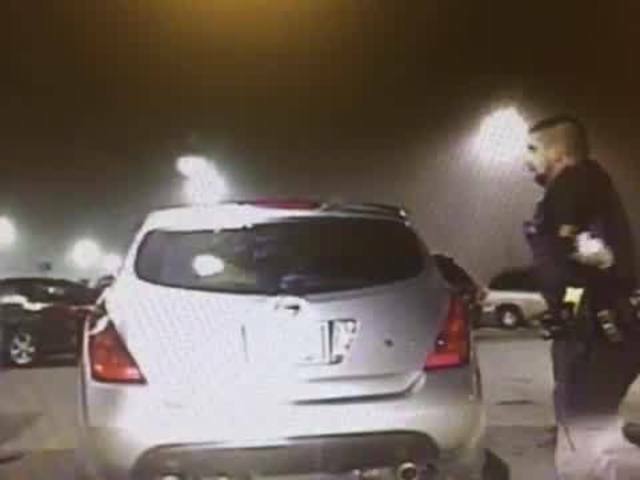 When Macedonia Patrolman Chris Neal agreed to take an overtime shift Saturday night, he never expected the wild scenario that played out with a shoplifting suspect outside of a Walmart store. Neal, a 17-year veteran of the force, chased a man all over the parking lot, nearly had his cruiser taken away by a thief, and was punched two or three times in the face. When it was over, the man on the run was struck by a cruiser driven by another Macedonia officer. "I shouldn't have come in for overtime that night. I think I would have have been better off just looking at Christmas lights with the family, what we were planning on doing," Neal said. Around 11:30 p.m., the officer was notified by a loss prevention officer that two people had left the store with a shopping cart filled with stolen food. 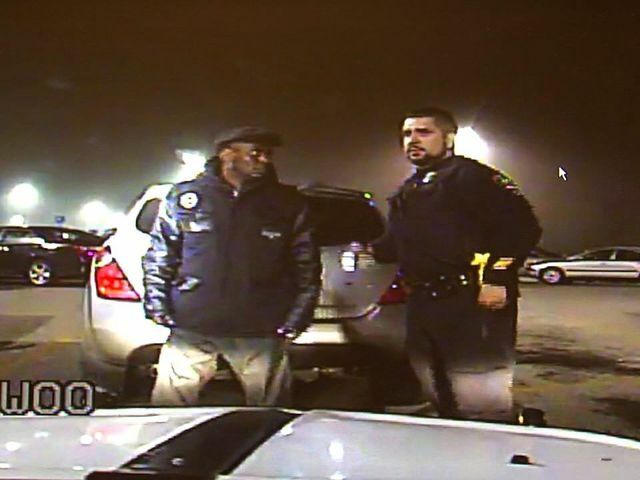 Neal's cruiser video shows the officer confronting one of the suspects, 45-year-old Kevin Moultry, outside of a Nissan Murano. Neal said the suspect, who seemed intoxicated, handed him a razor from his pocket. After a pat down, Neal looked inside the vehicle and spotted what appeared to be stolen steaks and seafood. At that point, the officer attempted to arrest Moultry, but he took off running. On the video, Neal can be seen chasing after him and yelling, "I'm gonna Tase you. Stop, or I'm gonna Tase you." Moments later, Moultry runs back towards the Nissan, but instead jumps inside the cruiser. Neal fired his Taser at Moultry, but the probes didn't penetrate his jacket enough to affect him, and he hit the accelerate on the cruiser, Neal explained. "He puts the car into drive and proceeds forward. That's where he strikes the other vehicle (the Nissan)," Neal said. At that point, Neal thought about using deadly force. "I was telling myself in my head, if he puts the car in reverse, that I might have to use my gun to stop him." The officer managed to put the cruiser in park and turn the vehicle off, but in that time, Moultry allegedly punched the officer in the lip, escaped out the passenger side window and started running again. This time, he disappeared inside the Walmart store. As more officers arrived on the scene, Moultry bolted from the store again, according to investigators. Neal said as Moultry ran around a parked car, he was struck by a cruiser driven by Officer Michael Plesz. The incident was also captured by cruiser dash camera. Moultry suffered a sprained knee, broken finger, and a contusion on his head, police said. He was taken to Hillcrest Hospital and was treated and released. 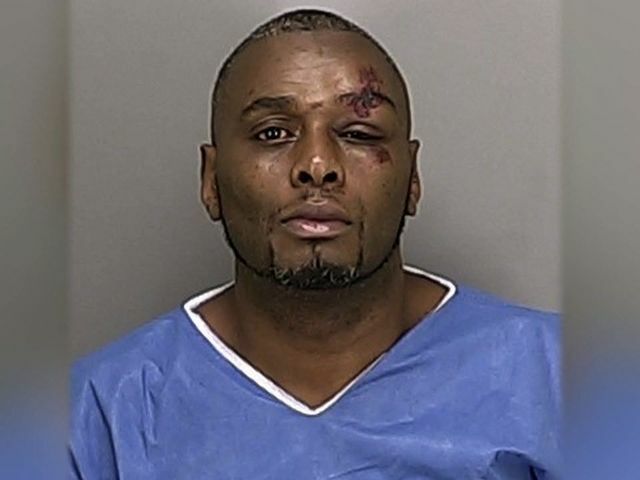 Moultry was booked into the Summit Count jail and charged with theft, aggravated robbery, grand theft of a motor vehicle, resisting arrest, obstructing official business and assault on a police officer. While cleaning out his cruiser after the stressful night, Neal found a pocket-knife that he believes the suspect had with him during the tussle. "Things could have gone bad for me, bad for him," he said.